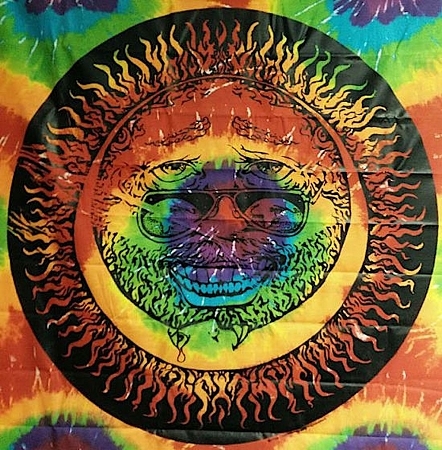 Really cool GIANT SIZE Jerry Sun Moon design Wall Hanging. 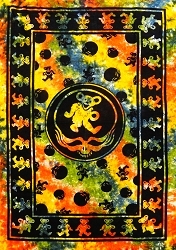 Bright tie-dyed print background (colors include red, green, yellow, blue and purple) with black silk screen design. Great for bedrooms, rec rooms or dorm rooms. These tie dye print tapestries are not tie-dyed. 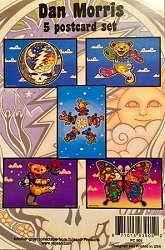 They are a tie-dye printed material with black silk screen design. 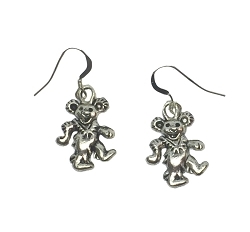 The edges are heat-sealed to prevent fraying. Approximately 40" x 45". 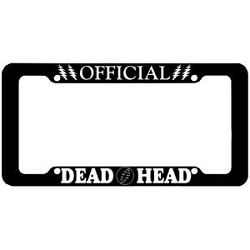 Makes a great gift for the Deadhead in your life!